The Rebel Sweetheart. 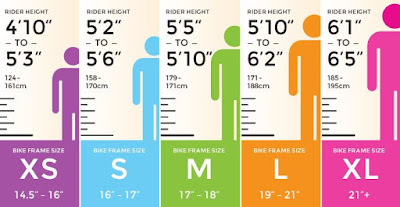 : 3 Reliable Methods To Help You Choose The Appropriate Size Of Bike. 3 Reliable Methods To Help You Choose The Appropriate Size Of Bike. Did you know that the size of bike that you buy is of much significance when it comes to your health, your comfort level when riding, as well as your riding posture? Most people buying bikes tend to neglect this aspect, as they tend to focus on other factors such as price, model, and features of the bike. Usually, the size of the bike that you choose determines your comfort level, the pressure your wrist takes when riding and the level of control as you ride. One of the common questions that most new buyers have is whether there is a method used in determining the appropriate size of bike for them. This article provides an overview of 3 simple yet reliable methods of determining the appropriate size of bike. The use of the bike size calculator is one of the easiest methods to find the ideal size for you. 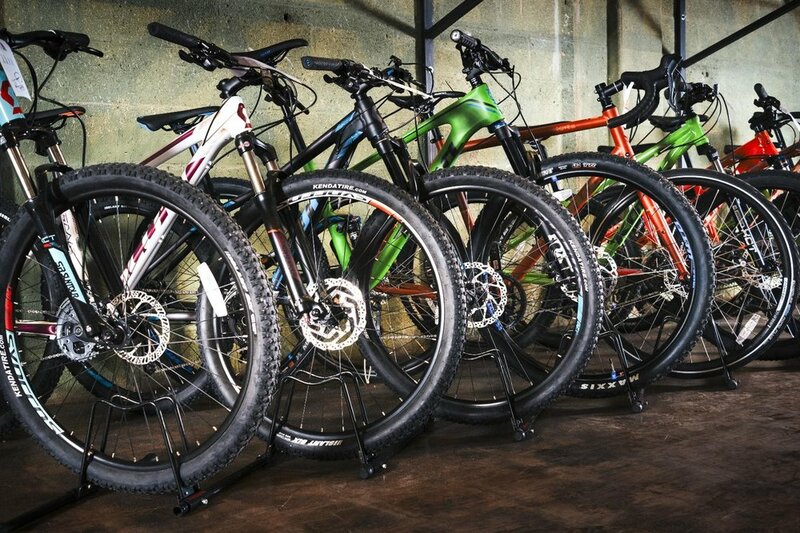 Often, majority of people do not know the value of choosing the ideal bike size. However, you do not have to strain and worry about all the measurements. All you need is just a bike size calculator. Using the bike size calculator is not only simple but also fast –it will do everything for you. The only thing that you will be required to do is answer a couple of basic questions, after which the calculator should indicate the bike size that aligns with your answers. Check out this awesome calculator now. The other alternative that you can consider is the use of bike size charts. This method is advantageous in two ways. The first advantage is that it is simple to use, and the other is that it can be used by anyone since it requires no technical knowledge. All one is supposed to do is evaluate and compare his or her size with respect to the bike size. Often, the charts give just estimation and hence, there is no one size that is considered fitting for you. 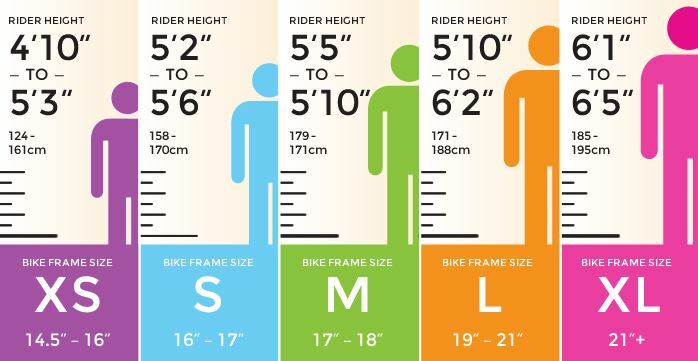 For example, if you are between 4’11’’ and 5’3’’, the chart estimates that your ideal size of bike (center to top) should be 13-15 inches. The difference between the advanced and the simple bike size charts is the fact that the advanced ones can offer you the chance to find the most appropriate size. Choosing the ideal size using the advanced bike size charts is easy since they have specialized charts for each type of bike. For example, the charts show whether the bike is ideal for females or males, its size in centimeters, as well as a size description such as XXS, XS, S, M, L, XL, XXL. Choosing the appropriate size of a bike is something that many people overlook while others find it hard. However, with the three methods highlighted above, you will find it easy to choose the right size for you. I didn't realize they made bike size calculator. I need one! I have experienced how much I regret buying the wrong size bike before. This is awesome to know! Honestly did know there were bikes of different sizes. Thank you! These are great tips for anyone planning to buy a bike. It's really important that your bike suits your height otherwise, you'll have a difficult time when riding. This is super handy, because I had no idea there WERE bike sizes! When I buy my next one, I'll be sure to pay lots of attention :) Thanks! What a great idea to have a size chart, that will be really helpful for a lot of people because it is so easy to buy the wrong size! I had no idea there was so much to consider when getting a new bike. I have seriously just made sure my feet could touch the pedals! Great information! It's been such a long time since I last bought a bike for me or my husband. We juat usually get a bike for the kids. I think these are awesome tips on how to find the perfect bike! These are some really helpful tips. I have been thinking to buy a new bike for my daughter and last spring-summer went to the store, it was really difficult to decide as kids do grow quickly and I didn't want her to have the bike for 2-3 months and then winter comes. I will be checking the bike for her, your tips will be really helpful. I never really realized that there was so much to selecting a bike. I will be doing this soon for a son of mine so this will be helpful. I never thought that there was a real way to pick a bike. Then again I haven't ridden a bike since I was a kid. This is super important and very handy for everyone! Great advice, my oldest son just outgrew his bike so we are researching what size to get him.